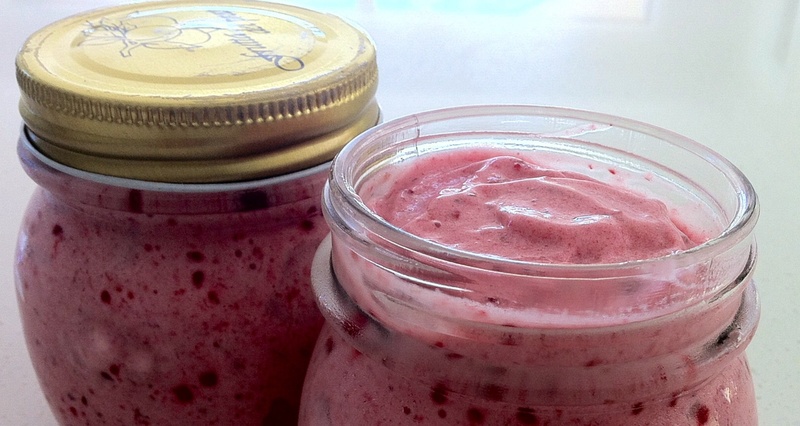 Banana Berry ‘Ice Cream’ – dairy free! Yes – it’s dairy free and healthy 🙂 And perfect for a sizzling summer day. Frozen banana & raspberries blended with 2 TB agave syrup and drizzle of water. Ready to serve! Portioned up for the freezer in individual servings. 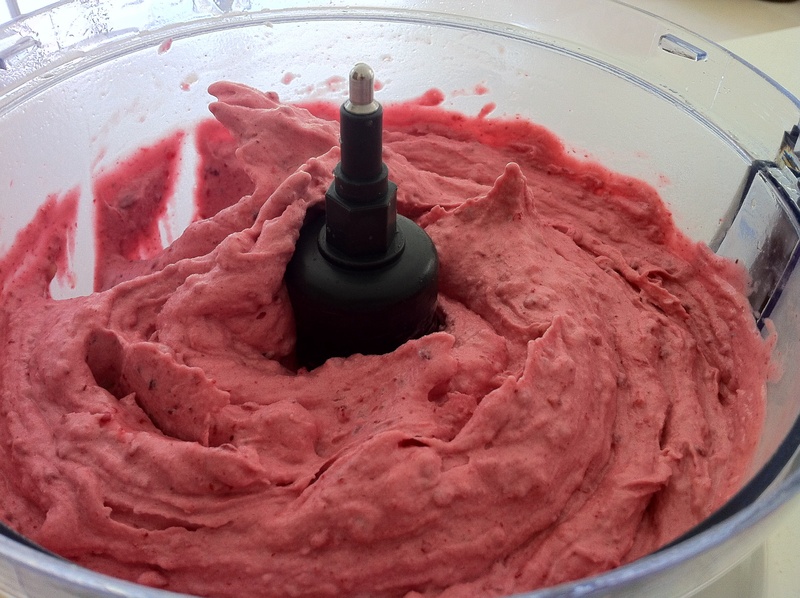 Place the banana chunks & berries in a food processor and process. Add the agave syrup (maple syrup or honey) and keep processing. You will need to stop regularly and scrape down the sides. Start to drizzle in water to help the mixture to smooth. Less water will keep a thicker, creamier consistency – more water, more of a sorbet consistency. Serve straight away – or freeze. This will keep for about 2 weeks in the freezer (might not last that long!). ← Dreamcatchers and a little boho chic!